To learn a language, you need to memorize a lot of vocabulary, and memorizing lots of vocabulary can be tricky. You’re faced with unfamiliar spellings and unfamiliar sounds, which makes foreign words significantly more difficult to remember than words in your native language. In this article, I’ll show you how to remember words more easily with the help of mnemonics. What are mnemonics, really? In the broadest sense, they’re anything that helps you remember information. They can range from using your knuckles to figure out which months have 31 days, to using the name “ROY G BIV” for the colors of the rainbow. 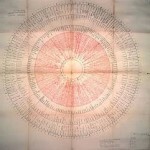 Or even elaborate codes that convert hundreds of digits of Pi into a simple story. For our needs, we’re generally going to focus on mnemonics that involve concrete pictures. These take advantage of what’s known as the Baker-Baker effect. 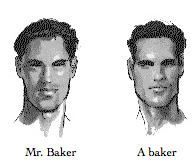 Basically, if I tell you that a man’s name is Mr. Baker, you’re going to forget that information relatively quickly. Names aren’t particularly memorable. But if I tell you that this man is a baker, you’ll remember. Why? Your brain stores sensory information (especially visual information) much better than abstract information. When I tell you that a man is a baker, you know precisely what that looks like. You may even precisely what that smells like, and what his bread tastes like. In contrast, “Mr. Baker” is just as memorable as “Mr. Hampson” – it’s basically only noise, and as such, it’s totally forgettable. Mnemonics are tremendously helpful for language learning, because languages are full of abstract, hard-to-remember concepts – like spelling, grammatical gender and verb conjugation patterns – and you can use mnemonics to turn these abstract concepts into simple, memorable pictures. I started playing around with mnemonics late in my French (I had a few pictures for word genders), and then went nuts with Russian, creating mnemonics to help me remember word stress, gender, verb conjugation patterns, verb prefixes, noun cases, everything. Now, in Hungarian, I’m using them to remember spelling, too. I plan to cover all of these uses over the next few months, but in light of last week’s article, I’ll start with spelling. As a caveat, I’m not going to give you a system for turning any spelling into an elaborate story. These methods exist, but they take so much work to set up and so much practice to work well that I don’t think they’re worth doing. The first system of this sort turned words like “Divinitatis” into stories like “Staphylus (a minor wine-god) was in a brothel getting harassed with a tree, while, in the background, a penitent, extremely well dressed man sits in a silver chair and raises his hands to heaven.” A bit too complex, no? Other, more common techniques involve creating keyword mnemonics: cheval (horse) sounds like “shovel,” so I’ll imagine a horse digging a hole with a shovel. Keywords work fairly well, and I use them when I can, but they have some serious limitations. How can I use a keyword to help me remember the difference between Hungarian’s kor (period/era) and kór (disease). These two words sound almost identical; the only difference is that kór has a longer “o.” Kor reminds me of an apple core (and so I could picture an apple core sitting around, fossilizing over an entire era of history), but what do I do with kór? A really long apple core? Keywords have their place, but they won’t help here. I’m going to give you a way to remember whatever letters you need – think of it as mnemonics à la carte. I usually use it to remember the first letter of every word I learn, and if I need another letter or two to help remind me of a particularly tricky word (say, an ó for kór, then I’ll add more mnemonics as needed. 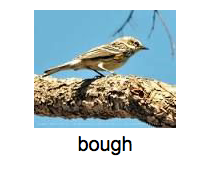 To do this, I assign one image to every basic spelling/sound in my language. 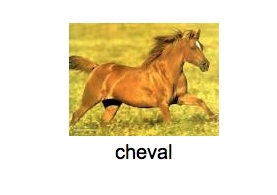 In French, I could use “cheval” (horse) to represent “ch.” From then on, I can reuse that horse in a variety of settings. Chat (cat)? A cheval is eating my chat. Cheveux (hair)? 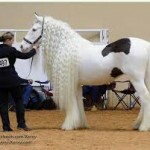 A cheval with elegant, long cheveux. If you need help with multiple sounds/letters in a single word, you just add additional images. The stories get more complex, but they’re nonetheless memorable (at least for a few weeks). Over time, you eventually forget the stories and remember the spellings instead. In Hungarian, I have kávé (coffee) for K, orvos (doctor) for O and óra (clock) for Ó. If I need help to remember the difference between kor (era) and kór (disease), then I can imagine a grizzled, impossibly old doctor sipping his coffee to help me with kor – that doctor’s been there for an entire era – and a gross, sore-encrusted clock oozing diseased goop into a coffee cup for kór (Sorry. It helps when your mnemonics are as vivid as possible.) I create these stories whenever I learn a word for the first time, or whenever I forget a word during my daily reviews. That way, I only spend time creating mnemonic stories when I really need it. The nice thing about this system is that it keeps me thinking in my target language. I keep associating similar sounding words in my target language, which serves as a review for two words at once, every time I see a new word. 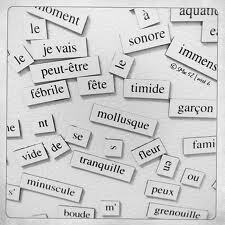 So both words (cheval and cheveux, for instance) become easier to remember. I’ll point out two things here. One, I’m not asking for a specific mnemonic. I’m just asking for any word that has this spelling, though I am supplying a specific example on the back of this card. And given the “When you’re right, you’re right” principle behind my flashcards, there are a lot of correct answers to this card: chat (cat), cheveux (hair) and chevalier (knight), to name a few. In the beginning of my Hungarian studies, I tried to be a bit more strict with my mnemonics – I only wanted one image per spelling/sound combination – but in time, that changed. As I learned more words with similar spellings, and as I associated them together using these mnemonics, I found that I had a bunch of words and images come to mind whenever I saw a certain spelling. I could pick any of those words as a mnemonic, and they worked just fine (better, even, than the fixed mnemonics). So now I use this more-flexible wording for the question on my flashcards; it’s easier to remember (all it does is make sure that I practice the ability to come up with images for any given spelling), and it helps me create big families of similar sounding words. In practice, regardless of the wording, you’ll tend to remember the mnemonic you chose. Here, you’ll usually remember cheval before any other “ch”-words. Only later, after a month or two, will you start to remember a bunch of images at once. Once that happens, you can pick whichever one seems most appropriate to the new word you’re memorizing. I don’t always use mnemonics. When a word is relatively familiar (a word like chèvre, for instance, may be pretty easy due to the cheese), I’ll skip the mnemonic entirely. And when I’m starting to reach an intermediate level, I find that I need them less and less. But even at intermediate and advanced levels, I’ll still run into words that just don’t want to stick in my brain, and mnemonics help me nail them down. If you’re just starting out with a language, you can save a lot of time by using example words to learn spelling and then re-using those same examples for your mnemonics. I’m including a small example Anki deck with pre-made models for all of these cards. Play around with it and see how you like it. Back in December, I tried out these mnemonics for Hungarian on a whim, and I’ve found them extremely helpful. Hopefully they’ll be helpful to you, too!